DO YOU KNOW THE MARKET VALUE OF YOUR HOME? CONTACT ME FOR A FREE CONSULTATION. • When it’s time to sell your home, statistics show, staging can increase the value - regardless of size, condition & location. • Member of the Toronto Real Estate Board, attracting out of town buyers. • RAD Ballet • Jazz • Hip Hop • Tap • Modern • Acting • Voice • Ballroom • Barre Fitness • Pilates All ages from Preschool to Adults Students entered for RAD Ballet Exams (100% Successful Results) P.A Da y & March Brea Camps k ! Connect with us on Facebook and Twitter: @TownofGrimsby PUBLISHED BY: Niagara this Week a division of Metroland West Media Group Ltd.
REPORT A STREETLIGHT OR PEDESTRIAN CONCERN: You can now report a streetlight or pedestrian / sidewalk concern on line. Visit www.grimsby.ca and go to the “I Want To” section to find the forms. DID YOU KNOW: The following streets are maintained by the Region of Niagara: Livingston Ave., Main St. (East and West), Christie St, Mountain Road, South Service Road, and Mud St. For more information visit www.niagararegion.ca or call 1-800-263-7215 AFTER HOURS EMERGENCY CALL NUMBER: If there is an urgent matter regarding a Town related issue and it is outside of regular business hours, you can call the 24-7 Emergency Answering Service at 905-945-9201. Your message will be taken and the on-call Supervisor will direct the message accordingly. COMMUNITY PARKS AND MUNICIPAL – PROPERTY USE Please note that any organized activity that takes place on municipal property, including parks and open spaces, requires a facility/site permit. The following activities are not permitted unless special permission permits are obtained: • ﬁreworks • golf or sports not designed for that park. • use of open ﬂames • vehicles in the park • alcohol consumption • organized sports and activities require a permit • please note - all parks and public spaces are SMOKE FREE Please contact the Parks, Recreation & Culture Department for further information at 905-945-1288. 2019 DOG LICENCES: Why should I licence my dog? • Because it is the law • To help return your dog quickly if it is lost • Access to leash free dog parks • All proceeds go to the Lincoln County Humane Society Fees for sterilized and non-sterilized dogs: November 1, 2018 to January 31, 2019 - $25.00 February 1, 2019 to March 31, 2019 - $30.00 After April 1, 2019 - $75.00 Dog Licence’s may be purchased: • On-line at www.grimsby.ca. Go to “On-line Registration” tab. • Ruffin’s Pet Centre (63 Main St. W). Cash only. • Town Hall (160 Livingston Ave.). Cash/Debit/Cheque • Mail (include dog’s information, with your cheque, to: Town of Grimsby, P.O. Box 159, 160 Livingston Ave., Grimsby, ON L3M 4G3 The Town of Grimsby has adopted a zero tolerance policy for dogs that are not licensed. You will be charged $100 under section 21.9(a) of the Provincial offences Act, Town of Grimsby By-law 10-06. All dog license proceeds go to the Lincoln County Humane Society to support canine and humane services. Please be a responsible pet owner and license your dog! MARRIAGE LICENCES: Applications for Marriage licences are available on our website www.grimsby.ca or at Town Hall reception desk. Please call 905-945-9634 x 2194 to make a marriage license appointment. Please inquire well in advance of the intended marriage date. WHEN IS A BUILDING PERMIT REQUIRED? A building permit is required for the new construction, additions, alterations, renovations, relocations and repairs or rehabilitation of a building or structure. The following are some examples of projects that WOULD require building permits: • additions / alterations / renovations / demolitions • construction of attached and detached carports & garages • construction of accessory buildings (sheds etc.) exceeding 10 square meters (108 sq ft) • finishing previously unfinished spaces such as rec. rooms, family rooms, attics etc. • change of use • decks-greater than 600 mm (23 5/8") above grade • repair and underpinning of foundations • plumbing systems • prefabricated structures • pool installations that hold 600 mm (23 5/8") or more of water) • signs For more information visit our website at www.grimsby.ca and search under the Building Department, or call us at 905-945-9634 COMMEMORATIVE BENCH, TREE PROGRAM & ARENA SEATING The Town of Grimsby has a Commemorative Tree, Bench & Arena Seating Program to celebrate a person, a special occasion or anniversary. Commemorative gifts can be donated by a person, group of people or organization for a wide variety of reasons. For more information please call the Parks, Recreation & Culture Department office at 905-945-1288. TREE REMOVAL The Town will prune or remove dead, diseased or dangerous limbs from trees that are located on municipal property. The Town will avoid removing the whole tree if possible. To report a tree in a park concern please call the Parks, Recreation & Culture Department at 905-945-1288. For street trees, please call the Operations Centre at 905-945-9201. Find Out What’s Happening in Downtown Grimsby! Registration REGISTRATION DATES Spring programs (Mar - May start) • registration is currently open! Summer programs (June - Aug start) • Monday, April 8th, starting at 6 pm. Online and in person registration is open from 6-9 pm on April 8th the Peach King Centre. 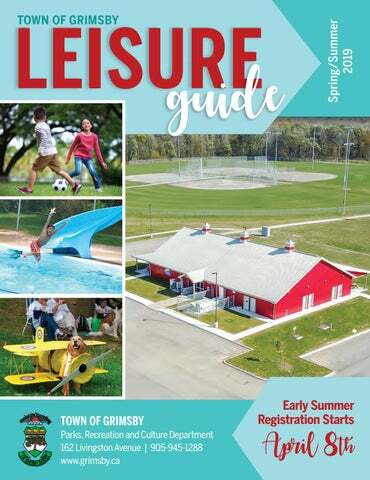 • Non-resident registration starts Monday, April 22 ONLINE: • To access the online registration program visit our website at www.grimsby.ca • We strongly recommend that you create your customer proﬁle(s) prior to registration day. IN PERSON: • All in person registrations can be completed at the Peach King Centre (162 Livingston Ave.) See page 1 for hours. • Note: all registrations will be entered into the software system. We recommend that you create your customer accounts in advance of registering in person. DETERMINING RESIDENT STATUS: • If you, or your landlord, are paying property taxes to the Town of Grimsby, you are considered a Grimsby resident. • If you are not a resident of Grimsby, there is a 2 week delay for registration. REFUNDS / WITHDRAWALS: • A $25.00 administration fee will be charged on all refund requests. Exception: withdrawal with medical note. • Refunds requested after the program start date will be pro-rated based on classes completed at time of refund request. • Credit on account is also available with no admin fee. • Refunds are not available for individual classes, only for an entire session. AGE POLICY FOR CHILDREN AND YOUTH: • For programs with minimum age of 5 yrs +, participants must meet the minimum age by year end. • For programs with ages of 4 yrs and younger, participants must be of the required age by the first day of the program PAYMENT INFORMATION: • We accept cash, cheque, debit card or credit card. • Online registrations require credit card use and a $2.00 nonrefundable convenience fee will be applied. • Cheques are payable to the Town of Grimsby and must be dated the day of registration. • NSF cheques are subject to a $25.00 administrative fee and require immediate correction for the space to be held. • If you are in need of ﬁnancial assistance for programs please contact us and we will review assistance options with you. CLASS CANCELLATIONS AND ILLNESSES: • In order to provide quality programs the Recreation Department may cancel a program due to insufficient registration. If your class is cancelled a full refund or account credit will be given. • Cancellations due to inclement weather or other unforeseen events may occur from time to time. We do our best to minimize these cancellations, and we will notify participants with as much notice as possible. We do our best to provide a make-up date for missed classes when possible. • Absences from programs due to illness will not be credited. • Account credit will be given for extended absences due to injury or other extenuating circumstances. INCLUSION / SPECIAL NEEDS: • All registrants will be asked to provide information about allergies, medications and special needs. If you or your child require any support for participating in programs please let us know, we do our best to provide inclusion options that may include resources from within our Department, and also assistance from external agencies. • Please speak with Department staff prior to registering to ensure that we can create an accommodation plan for you. • If you require any information in alternate formats, please contact the Recreation office. 6 - 13 yrs 9:00 am – 3:30 pm (Ext Care: 7:30 am – 6:00 pm) $160.00 (*130.00 4 days) $41.00/wk, $33.00/wk for short wks* The camp is based at Centennial Park which has a covered pavilion, playground, sportsfields, lots of shade and green space and washrooms. Extended care is at the Peach King Centre and campers are then bused to site. Camp may travel by bus to the Peach King Centre, Southward Park or the Livingston Activity Centre on inclement weather days or for events. What craft are we doing? Whatever you want! Use our craft materials and your imagination to make something unique and special. Have an idea to improve a camp game? Let’s hear it! The last week of camp will have a week of favourites, with a few creative twists. A few of our best theme days, activities and crafts will be back by popular demand as summer winds down. Kick off summer with your creativity! We will be doing crafts of all shapes and sizes, and will even incorporate some of them into our games and activities. Let your imagination run wild! This week is a hands-on experience that allows campers to explore their creativity. This week is sure to be a unique experience for your child. This week we will do some fun art projects, and incorporate them into creative and active games! Campers will bring home some special artwork to share their creativity. A week full of discovery, including scavenger hunts, a “Dinosaur Dig” and other surprises to uncover. A great way to end Summer! Location: Southward Park Heroes come in all walks of life! Dress like your favourite, invent your own, or dress up a leader like one. Craft’s and activities will be centered around the hero’s in your life! Come Join Us for a Fun Adventure! Location: Peach King Centre An active week full of learning sports and fun ways to stay active. We will try all kinds of sports,and also do some sports themed crafts throughout the week. Canada Week Celebrating the best in Canadian Sports! A bowling trip to Pla Mor Lanes (St. Catharines – by bus) and a Frisbee challenge event. Sports Camp Classic with a visit to the new Southward Community Park on Mud St. (by bus). Sports Camp Classic with a visit to the Grimsby Lawnbowling Club. (by bus). FIREFIGHTER CAMP The summer camp staff are teaming up with the Grimsby Fire Department team to host a Firefighter Camp once again. Join us for a week full of activities that are all about firefighting, rescue and fire prevention and get a glimpse at what it might be like to be a firefighter. The camp will spend the morning at the Grimsby Fire Department, located on Mountain Road. During the afternoon campers will go to the Grimsby Lions Pool for a swim and then to the Peach King Centre for the remainder of the afternoon. This program is a unique experience that is fun, educational and active. The Grimsby Recreation Department are teamed up again with the GPAG and the Grimsby Museum for full day camps that balance culture and activity for all day fun. Supervisors and leaders are trained by Town of Grimsby staff. Ages: 6-13 yrs. Cost: $160 (*$130 short weeks) Time: 9:00- 3:30 pm Ext. Care: 7:30 am - 6:00 pm $41/week ($33/wk for short weeks) Location: Camps will begin at the Art Gallery or Museum and will end at the Peach King Centre. Campers will walk from the morning site to the pool and will be moved to and from the PKC to the park by bus. A camp supervisor will be with the group all day to ensure consistency and familiarity. July 29-Aug 2 Oh CANADA Artist July 2-5* Escape Room Quest Week Location Description Price Location: Grimsby Public Art Gallery Location: MuseumESCAPE ROOM QUEST: Unlock the July 2-5* Grimsby Grimsby riddles & puzzles! Use your $130 Unlock the riddles & puzzles! Use your Explore the country’s best features and Museum creativity to crack the codes & escape! creativity to crack the codes & escape! diverse culture from the great white north to the beaches of P.E.I. Paint a landscape, July 8-12 GPAG PASSPORT ARTISTS: Fill your passport with culture, fun trivia and $160 sculpt a wild animal, and make a Megainspiration as we move around the world with drawing, painting and Canuck cartoon joke book and more! sculptures thatPassport highlightArtists animals, landscapes and famous locations. July 8-12 6 - 9*conversation with nature. CSI Grimsby July 22-26Grimsby GPAG PLANET creative $160 Location: Public Art Gallery ARTWORKS: Step into aAug Let’s make environmental Artscapes and transform beautiful bits of Fill your passport with culture, fun trivia and Location: Grimsby Museum nature painting, drawing and land artWeinstallations. inspiration as wewith moveassemblage, around the world need your help! Follow the clues to with drawing, painting and sculptures that solve the Grimsby Museum Mystery! July 29GPAG CANADA Artist! $130 highlightOh animals, landscapes andExplore famous the country’s best features and diverse Aug2 culture from the great white north to the beaches of P.E.I. Paint a locations. landscape, sculpt a wild animal, and make a Mega-Canuck cartoon joke book and more! July 22-26 Planet Artworks Aug 19-23 Rainforest Trekking Aug 6-9* Grimsby Grimsby CSI GRIMSBY: We need your help! Follow the clues to solve the $130 Location: Public Art Gallery Location: Grimsby Public Art Gallery Museum Grimsby Museum Mystery! Step into a creative conversation with Create art based on creatures, botany nature. Let’s make environmental and the science found under a rainforest Artscapes and transformTREKKING! beautiful bitsCreate art based on creatures, Aug 19-23 GPAG RAINFOREST botany $160 canopy. Frogs,and lizards, parrots, snakes, of nature assemblage, painting, thewith science found under a rainforest canopy. Frogs, lizards, parrots, lemurs, sloths, jaguar, alligators, monkeys drawingsnakes, and landlemurs, art installations. sloths, jaguar, alligators, monkeys andand more! more! KEEP YOUR BRAIN ACTIVE THIS SUMMER WITH OXFORD LEARNING! All Ages. All Grades. All Subjects. The Mad Science team will be offering 5 weeks of camp in Grimsby this summer. Try one out for a week of creative and unique activities that are both educational and fun. These camps are held in partnership with the Mad Science company at the Town of Grimsby. Program instruction is led by the Mad Science team. Program Hours: 9 am – 4 pm Extended Care: (Drop off: 8:15 – 9 am, pick up: 4 – 5 pm) Ages: 6-12 yrs Fees: $233.00 per week ($190.00 for 4 day weeks) Locations: see below Extended care $35 ($30 for 4 days weeks) July 8-12: FLIGHT ACADEMY Location: Grimsby Museum The week will ﬂy by as we travel through time looking at the earliest ﬂying machines right up to modern day rocket launches. Become a Junior Aviator and discover the principals of ﬂight and aerodynamics. Using your new found knowledge create airplanes and other ﬂying machines to take home and continue experimenting with. Zip up your space suit for a planetary tour while we investigate the wonders of our very own Milky Way. Join your fellow astronauts as we send 3 awesome model rockets off into the sky. It will be a blast! We will discover how to get a rainbow in a test tube and build a Potato Power Plant during a day of radical chemical reactions. August 12-16: BEASTS, BRIDGES AND BREWS Location: Grimsby Museum Campers will shake, rattle and roll the world of simple machines as they are challenged to build bridges and a four foot high Geodesic Dome. Everyone will speak bird and be a bit buggy while they build bug and bird houses. Mixing, mashing and brewing will result in cool sidewalk chalk and bath fizzers during a day in the chemistry lab. July 22-26: CLAWS, CODES AND CONSTELLATIONS Location: Elizabeth St. Pumphouse An awesome week of sleuthing, investigation and discovery awaits you! Send messages to your friends with your very own secret code wheels. Hunt down animal tracks and follow hidden scent trails during a day of nature discoveries. Lemon Shockers, Brain Goo and Electroplating will thrill all junior chemists. Children will build their own cool Stereoscopic Viewer to see far-off planets in 3D and become a Mad Science junior astronomer. August 6-9: DOCTORS, DETECTIVES & DNA Location: Elizabeth St. Pumphouse Campers will use forensic science to solve a crime. A visit to Cell City will reveal the inner workings of DNA while a trip down the Organ Trail will provide a Body Portrait. Explore the wonders of gravity, balance and the science behind the illusive sweet spot. Build the strongest helmet for our friend Eggbert in our safe egg challenge. August 26 - 30: EUREKA CAMP Location: Grimsby Museum Children will overcome a series of challenges using basic materials, simple machines, tips from famous inventors and the most important of all – their mind. With a little bit of ingenuity children will create catapults and forts, construct working light sticks to take home and assemble a set of circuits with batteries and light bulbs. GBF Community Services provides assistance to members of our community to help them meet basic needs and achieve self-suﬃciency for a better tomorrow. Our mission is to improve the quality of life in our community by providing compassionate support and material assistance to those who need it most. GBF Community Services is more than just a food bank or donation centre – it is this community’s outpouring of love, care and kindness. GBF Community Services oﬀers assistance through Food Assistance Programs, Energy Assistance Program, Rental Assistance Program, Medical & Dental Programs, Education Bursaries, Income Tax Clinics, Back-to-School Program, Christmas Hamper Program, and so much more! Our volunteers are at the heart of all that GBF Community Services does to support our neighbours in need. Become a volunteer today and stand with us, shoulder-to-shoulder, hand-in-hand, to make a real and positive diﬀerence in our community. Here in Grimsby, community is family. Will you help yours? Parkour-style activities for the aspiring Parkour and Ninja enthusiasts. Focus is on spins, jumps, rolls, climbing and vaulting using assistive equipment. TUNE TIME In this class children sing song parts, carry out actions and moving and grooving to the beat. Parents participate, but your child will start to march to their own beat. Developing basic sport skills early in life gives children a great PLAY DAY: The school year is winding down, and we have all start towards an active lifestyle. Jump, shoot, catch, throw, kick, been so busy. Today we will just play all day! We will play games swing, run and more ! With a group of new friends, fun equipment outside (weather permitting) and in the arena. We will also make and lots of laughs, your child will be introduced to sports skills. a summertime craft. This is a great way to expose your child to a variety of sport Date: Friday, June 7 concepts and spend some fun time with you! Location: Peach King Centre Location: Peach King Centre Ages: 5 - 13 yrs Ages: 2 - 4 yrs (parent participation required) Time: 8:30 am - 4:30 pm Cost: $40 SPRING: Thursdays, Apr 11 - June 13 5:30 - 6:10 pm OR 6:15 - 6:55 pm $64 10 week session MY SAFE LIFE - PERSONAL SAFETY FOR KIDS My Safe Life is an Interactive personal safety program designed for children 7 â&#x20AC;&#x201C; 10 years. Topics include: people safety, tricky people, bullying prevention, injury prevention and some basic first aid. Staying alert, being assertive and knowing where to go for help are a childâ&#x20AC;&#x2122;s best line of defense. Ages: 7 - 10 yrs Location: Grimsby Town Hall Cost: $53 SPRING: Saturday, May 4 9 am - 3:30 pm *classes may end a little early depending on enrollment. What does Community Living mean to you? Community Living is about creating a truly inclusive society that reflects the abilities of every individual. We support individuals as they develop their capacity to live, learn andparticipate in all aspects of living in the community in meaningful, productive ways. Life is about more than what you can do. Life is about feeling like you belong. SATURDAY ART CLUB! Art Express: ages 5-9 Creator Studio Club: ages 5-9 Sat. May 4,11,18,25 June 1 Tues. April 2,9,16,23,30 Time: 10:30-12 Fee: $75.00 Time: 4-5:15 pm Fee: $63.00 Making is fun! Explore the world of ideas in Create and build foundation skills with a this hands on program that gives young artists the different theme project and material each support , skills and materials to complete unique projects week. A fun studio space focused on individualized art each week! and creative thinking. Creative Makers: ages 9-14 Sat. May 4,11,18,25 June 1 Master Art Makers Club: ages 9-14 Time: 12:30-2:00 Fee: $75.00 Thurs. April 4,11,18, 25 & May 2 Artist tool box explorations begin with our personalized Time: 4-5:15 pm Fee: $63.00 project scopes and the support , skills and materials to Join the club! Become a creative life-learner developing skills in problem solving, decision making and complete unique projects each week! Join the Club! style development. Build your art skills tool box at GPAG. PA Day Magical Makers! ages 5+ Fee: $5.00 Friday May 17 10:30-11:30 am Max. 15 students Realistic, expressive and cartoon approaches with projects that change each week and session to keep you Join the Magical Creators in this 1 hour of Crafty fun! Learn & Make new art projects each session. Pre-register growing as an artist. DRAW, PAINT, SCULPT, PRINT. on line or drop in and sign up at the gallery desk! AFTERSCHOOL ART CLUBS! SANDRA HODGINS Dance Dpl., Ryerson Teaching Dpl. R.A.D., Intermediate R.A.D., Advanced Modern & National, I.S.T.D. KIDS SUMMER CREATORS Art Programs! POTIONS CLASS! Find out what happens when you mix different art materials together with water, salt, shaving cream, baby oil, and wax. Art supplies can turn into magical elements to use as we make art! CARTOON STUDIO : Draw, Paint & Sculpt cartoons and make a comic book. Funny creative projects that explore learning about cartoon styles.- people, animals, objects, aliens and so much more! 3-D CREATOR STUDIO: Let’s get building, shaping, texturing and exploring all about sculpting and designing 3-D. Explore Clay, Plasticine, Plaster, Assemblage. STOP MOTION COMMOTION FILM SCHOOL - Program Partners GPAG & GPL Learn to be the design production, film crew and the lead actor as you explore the elements of stop action filmmaking! Work with GPAG art instructors and GPL tech director to make your debut!. GPAG IMAGINATION STATION- Let’s create wild ideas and learn the foundations to new art materials and tools. Clay, Paint, Collage and Cartoon fun. Something creative and different every day! GLOBAL VILLAGE ART: Make Masks, Animal Figures; Musical Rain sticks and Dream Catchers that celebrate the beauty and artistry found around the world. Colour, texture and shape take shape with cultural themes. Street Art - Big Bold Graffiti Art Fun! Let’s make some collage, print and painted panels to hang in the lobby, in the gardens, and chalk drawing illusions on the sidewalk! Everyday fun with funky fun art! ADMISSION FOR CHILDREN: Children under the age of 10 year who are nonswimmers must be directly supervised by a person 12 years of age or older with a supervision ratio of 4:1. Children under the age of 10 who pass the facility swim test can be admitted unaccompanied. Children under the age of 6 years may not be admitted to the swimming pool unless accompanied by a parent or guardian who is responsible for their direct supervision at a 2:1 ratio. FACILITY SWIM TEST: The facility swim test is 2 complete widths of the pool. The swimmer must not stop or touch the bottom. The swimmer must demonstrate comfort in the water, and be able to swim with their face in the water (this is at the lifeguards discretion). Swimmers who cannot complete the test will be required to have adult supervision if 10 yrs or younger, and they will be asked to avoid the deep end. Swim tests may be conducted repeatedly thoughout the season/and up to twice per visit. Location: The program will be based out of the Grimsby Lions Pool, and will use the pool areas, area parks and the community room. Extended Care will be held at the Peach King Centre and campers will be moved to and from these locations by bus. SERIOUS MEDICAL CONDITIONS: Those with serious medical conditions should be accompanied by an individual knowledgeable of their condition and responsible for their direct supervision. SPECIAL NEEDS: Any caregiver volunteering their time to support a person with special needs is admitted free (1 caregiver per person). OUR 2 WEEK SESSIONS format are excellent for learn to swim lessons. Small class ratios Excellent instructors, HEATED pool, community park and splashpad onsite. Our poolhouse has family changerooms and is fully accessible. CANADIAN RED CROSS PRESCHOOL SWIMMING 0 - 5 YRS STARFISH / DUCK (parented) 30 min $59 Babies and their caregivers work on getting wet, buoyancy, moving through water and shallow water entry. Lots of songs, smiles and fun. This level is not formally evaluated. SALAMANDER 30 min $59 Preschoolers will work on front and back ﬂoats unassisted, rollover ﬂoats and glides assisted, kicking on front using buoyant aid and rhythmic breathing. SUNFISH 30 min $59 Participants will works on unassisted glides, rollovers and the beginning of front swim. Deep water will be introduced assisted. CROCODILE / WHALE 30 min $59 Participants will work on glides with kick, front swim and surface support for 10 seconds. Jumping into deep water will be taught. SEA TURTLE (parented) 30 min $59 Toddlers and their caregivers begin to learn ﬂoats, glides, kicking and other basics. Full submersion is encouraged. This level is not formally evaluated. SEA OTTER 30 min $59 Participants will work on front and back ﬂoats, glides, kicking on front and swimming 1m. our best to make level adjustments if deemed necessary, however it is restricted by class availability. We ask that parents only register for one session of swimming lessons at a time. This is to ensure that all residents get opportunity for at least one session. It is also not recommended to register for a second set of lessons until you know what level to register for, as changing levels can be difficult during our busy sessions. SWIM 1 30 min $59 Swimmers develop front and back ﬂoats, front and back glides, ﬂutter kick, shallow water entry and swim 5 metres. SWIM 2 30 min $59 Swimmers work on ﬂoats, glides, rollovers and assisted deep water activities. PFD’s will be used, and a distance swim of 10m will be taught. SWIM 3 30 min $59 Front, back and side glides will be taught. Front crawl will be introduced. Deep end ﬂoats and sitting dives will be taught. SWIM 4 30 min $59 Front crawl developed. Tread water for 45 sec., kneeling dive, kicking on back, distance swim of 25m. SWIM 7 45 min $78 Whip kick on front, eggbeater, choking rescue, sculling and distance swim of 150m. SWIM 8 45 min $78 Introduction to breaststroke, surface dives, stride entry, distance swim of 300m. SWIM 9 45 min $78 Elementary backstroke and breast stroke, learn sidestroke kick, surface dives and swim 400m continuously. LEADERSHIP COURSES BRONZE STAR & BASIC FIRST AID 1 Hr. For ages 10-15 yrs. Dates: August 12 - 23 from 8:30 -9:30 am Swim 10 is a pre-requisite for this course that emphasizes swimming skills and lifesaving fitness. Participants will develop their decision making skills and teamwork skills. The course includes certification in Basic First Aid. Fee: $123.00 BRONZE MEDALLION & EMERGENCY FIRST AID 2 Hrs. Must be 13 yrs of age by the exam date. Dates: July 1 - 19 (Mon-Fri) from 8:30 -10:30 am* Mandatory exam date: Sat. July 20 from 9 am-12 pm. The first required course towards becoming a Lifeguard. This course will develop judgment, knowledge skills and fitness and will include such things as tows and carries, defense methods, and emergency first aid techniques. This course has a classroom component. Fee: $158.00 + $47.00 for Lifesaving Manual BRONZE CROSS 2 Hrs. Must have Bronze Medallion and Emergency First Aid. Dates: July 22 - Aug 9 (Mon-Fri) from 8:30 -10:30 am* Mandatory exam date: Sat. August 10 from 9 am –12 pm. This course is the pre-requisite to National Lifeguard course (the required certification to lifeguard in Ontario). Course includes rescue techniques, scene management, teamwork and lifesaving skills and physical readiness to lifeguard. This course has a classroom component. Fee: $152.00 * 100% attendance required. LEADERS IN TRAINING Leaders in Training will spend a 2 week swimming session block with our trained swimming instructors. LIT’s assist the instructors with teaching so that they may develop their leadership skills and experience the instructional environment. This is a great opportunity for those interested in teaching, working with children and to develop valuable skills such as teamwork and communication techniques. Lifesaving Society: Lifesaving Instructor These courses may be offered together or you may have to take them separately. Requirements to be an Instructor with the Grimsby Lions Pool We strongly encourage all interested applicants to complete at least one session of Leader in Training (LIT) at the pool. PRIVATE LESSONS Looking for private swimming lessons this summer? We offer private lessons during afternoons and evenings with one of our excellent instructors. Private lessons are helpful for children who are struggling with specific skills, older children who are not comfortable in the water or children who need more focused one on one attention. We do recommend that children participate in regular group lessons where possible to gain the group experience. Make the Grimsby Lions Pool your destination for a childâ&#x20AC;&#x2122;s birthday party, corporate gathering, family event or a group of friends. Rental includes the use of some pool toys and equipment, use of the changerooms and full pool supervision by qualified lifeguards. Rental times are available most Saturdays and Sundays from 12:30 - 1:30 pm. Book early to avoid dissppointment. All regular admission standards apply. Visit our Online Registration Portal to view available lessons. The community room is also available at the pool for cake, presents or lunch afterwards. Or, use Coronation Park for a picnic and also enjoy the playground and splashpad onsite. Every person should know how to swim - including adults and seniors. It is never too late to learn to swim, and swimming is something that all ages and abilities can learn. Whether you need to start with basics, you want to learn to dive or you need swimming stroke refinement - we can take you from the sidelines, to in the water with your family. $20.50 / hr to rent the Community Room (max 24 people) (use of some refrigerator space can also be provided). $107.00 / session are for 5 classes for 30 minutes Visit our Online Registration Portal to view available lessons. Swimming is an excellent choice for physical fitness! It is a whole body workout that incorporates strength and cardio! Come & swim with us! Each personal training session is one hour, exclusive to members only. fees include HST! sign up for summer camps! ✄ ages five and up... full and half days No experience necessary. Patterns and kits just for kids! Air conditioned studio! QUALITY FOOD, FRIENDLY SERVICE…ALL DAY, EVERY DAY! NEW! MOM AND ME GYM FIT With children ages 1 to 3 (some exceptions) This fun fitness and gymnastics program is led by a certified gymnastics coach and fitness professional. Come and play and get fit with your little one. House League and Rep Teams for Boys and Girls We emphasize skill development and FUN! GOLDEN HORSESHOE RUGBY ACADEMY FOR BOYS & GIRLS AGES 13 - 19 (FULL CONTACT) LEARN TO. PLAY RUGBY, IMPROVE YOUR RUGBY KNOWLEDGE, INCREASE YOUR RUGBY SKILLS! Smith School and Oakes Rd. Paved, walkable waterfront pathway ICE RD. ERV O HS T OR L.
BOOK RD. GOLF WOODS DR.
JEANETTE AVE. LILLIAN ANNE CT. CT.
RIA VICTOAC E TERR TEMPLE LANE 4TH 3RD FAIR AVE.
. DR AL MISTY EV CT.
A beautiful trail that passes right through Grimsby. The trail runs through Beamer Valley and over Forty Mile Creek before heading to the top of the escarpment. The Quarry Rd access point offers a large bird lookout tower, picnic tables and washrooms. Great view of Lake Ontario from 4 lookouts. Offers year round co-ed Volleyball Training for players age 8 -15 years of age. This program is designed to promote the sport of volleyball and help kids develop the proper technique required to play on a school team, competitive team or just for fun. We offer indoor programs throughout the year and beach programs in the summer time. Please visit our website for details. Westend Waterfront side trail A paved 420m walking path along the waterfront with green areas to stop and take a break or have a picnic. Grimsby Volleyball association Offers a Competitive Travel Team option for both Girls and Boys ages 12 years - 18 years old. Tryouts start in September and the season runs to the end of April or May depending on the age group. If interested in a Travel Team please visit our website. Both programs are run by a Level 3 Certified NCCP Coach with over 30 years of coaching experience. Come be part of the Viper Family! CORONATION PARK Main St. W. and Livingston Ave. This park is located in Downtown Grimsby and hosts a number of special events throughout the year. The 40 Mile Creek runs through the Park, and the Grimsby Lions Community Pool (outdoor) is also located within. The park also has a large gazebo, picnic areas, small splashpad and playground. Parking can be accessed from Elm St. C8 on the map. BEAMER MEMORIAL CONSERVATION AREA Quarry Rd. Part of the Niagara Peninsula Conservation Authority, this beautiful park offers scenic lookouts over the 40 Mile Creek Valley and the Lake Ontario shoreline. The location has Lookout trails that bring you to the ridge of the escarpment, and it is connected to the Bruce Trail. Beamer Memorial is renowned to be an excellent location to observe the annual spring hawk migration and has a Hawkwatch tower that you can access. D7 on the map. STEVE MCDONNELL DOG PARK Lake St. and Baker Rd. N. This leash free dog park is open from 7 am until dusk everyday. This park is a great place to give your dog room to run and to meet other dog families. All dogs must have valid license tags and up to date vaccinations. Please observe all park rules before entering so that everyone can enjoy the park. Limited parking onsite. B11 on map. NELLES LAKE PARK Nelles Rd. N & Lake St. This park offers a beautiful beach access that is easy to access, a large playground, a beach volleyball court and a lot of open green space with shade. Parking is available onsite. A10 on the map. FORTY MILE CREEK PARK 447 Elizabeth Street This lakefront area is a great place to fish, bird watch or walk along the Forty Mile Creek. Home to the historic Pumphouse, a concrete patio with picnic tables overlooking the water and the 1812 Bicentennial Peace Garden & Gazebo. A9 on the map. FIFTY POINT CONSERVATION AREA 1479 Baseline Road, Winona Just on the outskirts of Grimsby, this Hamilton Conservation Authority property is an 80 hectare park with lots to do. Amenities and activities include: marina, fishing, camping, beach area, facility rentals, The Landing restaurant and more. A1 on the map. SPLASH PAD 162 Livingston Ave. Located in front of the Peach King Centre the splashpad is a great place for play and cooling off. The splashpad is open mid May - mid September (weather depending) during daylight hours. Please no pets and no bikes at the splashpad. C6 on the map. Situated in a brand new sports park with state of the art facilities and large covered patio. The Community Room can accommodate up to 100 people, while the Meeting Room can fit 20. Both rooms have access to a kitchenette tables and chairs. CENTENNIAL PARK Main St. E. (at Nelles School) One of Grimsby’s largest open green spaces, this park has lots of open space, a covered pavilion, baseball diamonds and ample parking. Walk along the creek that meanders through the park, visit the Rose Garden or enjoy a picnic at one of the many great picnic spots. C10 on the map. OUTDOOR RINK FRIESE BOX 162 Livingston Ave The outdoor rink is open for public use Monday - Sunday 9 am - 9 pm (excluding Grimsby Ball hockey League times and private rentals). Great for pick up ball hockey, lacrosse or rollerblading. C6 on the map. GRIMSBY TENNIS COURTS 46 St. Andrews Ave. (behind Livingston Activity Centre) The Grimsby tennis courts are available for public use during the hours of 8:45 am - 4:15 pm, Monday—Friday. For access pick up the key from the Livingston Activity Centre. Adult Supervision required along with proper tennis shoes and equipment. C8 on the map. CASABLANCA BEACH PARK at the end of Casablanca Blvd. This NEW waterfront park offers a fantastic beach, paved walking path and a covered gazebo with picnic tables. In time, the park trail will be expanded as part of Grimsby’s waterfront beach access initiative. A4 on the map. SHAYNE ARMSTRONG SKATE PARK Christie St. & Clarke St. The skate park offers a great variety of features for young skaters and experienced skaters. Hours are 9 am-dusk (lit during evenings in the summer months until 11 pm). We strongly recommend helmets and protective equipment. Use only when the surface is dry. B8 on the map. SOUTHWARD COMMUNITY PARK 84 Mud St. W. This Community Park is definitely worth a visit. The park hosts 4 baseball diamonds, 9 soccer fields of various sizes, a leash free dog park and eventually a bike pump track. The park also has a 2.5 km walking trail that meanders throughout the park and goes through a forested wetland with views of the pond area. The site has a community building with excellent event and rental options, as well as a meeting room and washrooms. E9 on the map.         The Grimsby Seniors Club has been in operation for over 50 years, and has approximately 650 members. The club is run out of the Livingston Activity Centre. The club offers a wide variety of activities, events and social opportunities for community members who are 55 yrs+. Stop by to visit the Centre and pick up a newsletter for upcoming events and activities. Annual membership is required for participation in club activities. The 2019 membership fee is $20.00, including HST. Activity fees apply to each program and range from $0.50 - $3.00, depending on the supplies and set up of the program. Most programs are drop in, so come whenever you wish. However, there are a few programs that require advanced registration such as some fitness classes, art classes and other speciality classes. Fridays . . . . . . . . .8:45 am – 4:15 pm *office is closed from 12:15 – 12:45 pm. 6 HANDED BID EUCHRE Fridays 1:00 - 4:00 pm A game similar to bid euchre, but played with 6 players. Fun, social, and easy to learn. BILLIARDS Available Monday - Friday 9:00 am - 4:00 pm The billiards table is open to members who wish to play. Just book your time and you’re ready to go! AFTERNOON BRIDGE Tuesdays 1:00 - 3:30 pm Join us for an afternoon of games, some knowledge of bridge is helpful. BID EUCHRE Thursdays 1:00 - 4:00 pm Saturdays 7:00 - 10:00 pm No experience needed, we will teach you! 2 decks of cards are used for this game. CARPET BOWLING Fridays 1:30 - 3:00 pm A fun game of bowling in the auditorium. Come as an individual or with a partner. CHESS Wednesdays 1:00 - 3:00 pm Come discover this centuries old game in a friendly social atmosphere. CRIBBAGE Wednesdays 1:00 - 3:30 pm All levels are welcome. Come on your own or with a friend. CROKINOLE Mondays 1:00 - 3:30 pm A fun, easy to play game that can be played by 2 or 4 players. No experience necessary. NEW MAHJONG Mondays 1:00 - 3:30 pm Fridays 1:00 - 3:30 pm A solitaire style game that uses sets of mahjong tiles. New players welcome! TAI CHI Mondays and Wednesdays 10:00 - 11:00 am A graceful form of exercise that reduces stress and offers many health benefits. QUILTERS GROUP Wednesdays 1:00 - 4:00 pm Join us to create beautiful handmade quilts. A fun social gathering that is creative. WALKING CLUB Tuesdays 9:00 - 10:00 am Thursdays 1:00 - 3:30 pm Enjoy some fresh air and exercise as we stroll around Grimsby together. SENIORS CHOIR Tuesdays 1:00 - 3:30 pm If you love to sing, then this is the group for you! The group participates in several performances annually. STARMAKERS THEATRE GROUP Various days & times If you enjoy acting or being part of a productive team, then check this group out. Starmakers produce 2 plays annually. TABLE TENNIS Mondays 1:00 - 3:30 pm Thrusdays 2:45 - 4:15 pm Good exercise, easy to play and the more the merrier! Since 1998, I have been providing expert mortgage advice and solutions to individuals and families throughout the province. Please contact me today for your personal mortgage review. There is no cost for this service, and I welcome this opportunity to earn your business! Deal directly with the owner from Sales to Installation to Service! HOME COMFORT ALL YEAR ROUND? THEN CALL HUBBARD AIR AND GET THE LATEsT INfoRmATIoN foR yoUR yoUR AIR CoNDITIoNING AND HEATING NEEDs. WE offER ECoNomICAL, EffICIENT AND RELIABLE EQUIPmENT, WITH EXCELLENT INsTALLATIoN AND sERVICE. DEAL DIRECTLy WITH THE oWNER. Download free e-Books & more Download the cloudLibrary and hoopla apps to get e-Books, music, movies and more with your library card. Explore the natural world during this summer's TD Summer Reading Club! For babies and kids up to 12 years old. West Niagara Community Hospice Program Providing At Home Hospice Support Services for over 30 years! Available for our programs -­‐ Funded by a grant from the Canadian Medical Association Like us on Facebook, Instagram and Follow us on Twitter! Try Itâ&#x20AC;¦You Will Like It! Call Sandra 905-309-6493 or Tom 905-309-9435 Visit our website at: www.GrimsbyLawnBowlingClub.ca GREENS LOCATED ON LIVINGSTON AVE GRIMSBY BEHIND SHOPPERS DRUG MART & SOBEYS PLAZA. NIAGARA PENINSULA HAWKWATCH OPEN HOUSE Friday April 19, 10am - 3pm Join us at Beamer Conservation Area during hawkwatch season. Information displays and presentations, children’s program, and live bird demonstration. KINSMEN EASTER EGG HUNT Friday April 19, 1 - 3pm The annual Easter Egg Hunt, for ages 0-10 years at the Centennial Park Rose Gardens. Presented by the Kinsmen Club of Grimsby. 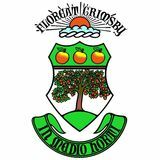 Visit www.events.grimsby.ca for a complete list of community events and activities. Visit our website and schedule a massage today! Join us on MAIN STREET for a variety of events this season including: Summer Solstice, June 20, celebrating the longest day of the year, Teddy Bear Picnic July 11, Cooking demos, learn meal suggestions using in-season products sourced from the market, Live music each week, Return of the Market Buck program for the 11th year, Community groups, non-profit and *new* young entrepreneur areas, Welcome our Fire Department and learn how fire prevention can save YOUR life, The market is a perfect place for families to meet with friends and enjoy music, visit our farmer vendors, shop in our downtown merchants, enjoy a meal on the street or one of Downtown Grimsby’s many fine restaurants. Visit all our local food and farm-based vendors from May 30 to October 10 inclusive 3:00 to 7:00 pm. See you on the Street! Doctor of Audiology, Audiologist & HIS available Free Parking/Validated Parking Welland: #109-555 Prince Charles Dr. N. • 905-788-9449 Vineland: 3443 King Street • 289-438-1340 Not happy with your current provider? Visit us for a no charge consultation & programming. REWARD YOURSELF, YOU’VE EARNED IT Collect, redeem and enjoy! proudly serving grimsby For all of your Automotive, Sports, Hardware, Houseware and Seasonal needs! Visit the Grimsby store today! Our friendly and helpful staff look forward to seeing you. Play Tennis! Join the Grimsby Tennis Club! Beginners welcome! Register Now Now for for September September 2019! 2018! Preparing children for Kindergarten since 1971! Women and Real Estate Mary Couturier B.A. Broker Mentor/ Consultant Industry expert providing a range of consultative services depending on your individual needs. double your space in one day! Rock Band Pop Star Camp Camp Ages 8-16 live the Dream! Is your child interested in a variety of instruments or still unsure of which instrument to choose? Try our Instrumental Explorers camp! Campers will be introduced to piano, hand drums, xylophones, percussions, recorder, guitar/ ukulele, and singing. A great way to know which instrument will be the best fit for future lessons. Summer Day Camps July & August One week sessions Performances every week! A great confidence and skill building experience! The preservation of trees improves not only our quality of life, but also the lives of generations to come. Preserve trees - Improve life. We’ve got it all in one place - Ceremonies, Wedding Receptions, Bridal Showers, Rehearsal Dinners, Farewell Brunches, Engagement Parties, Room Blocks and more. 2 onsite Restaurants: Panorama Restaurant & Wine Bar - Featuring the best view of Lake Ontario in Niagara. Bogey’s Grillhouse & Patio - casual family dining everyday for Breakfast, Lunch & Dinner + Sunday Brunch every weekend. Pamper yourself in ELIPSIS DAY SPA - a Luxury Spa offering over 30 services to relax, renew and rejuvenate you. Over 9,000 sq. ft. of Banquet and Meeting space for your Corporate Event, Social Function or Fundraiser. 78 luxuriously appointed Guest Rooms & Suites, Indoor Pool, Hot Tub, 24 Hr Fitness Centre and complimentary Parking. Smile Town Dental Group Book Your Appointment Today! Specializing in healthy outdoor family fun, Whirlpool Adventure Course offers a collection of aerial games including cargo nets, rope swings, tightropes, wobbly bridges, ziplines, and more 20 – 40 feet above ground. Located on the Niagara Parkway, overlooking the whirlpool rapids in Niagara Falls.